The Linux Mint devs promised to release Linux Mint Debian Edition 3 beta by the end of July, and today they’ve made good on their word by releasing LMDE 3 “Cindy”. Linux Mint Debian Edition is a popular alternative of Linux Mint which is built against the upstream Debian packages, instead of Ubuntu as the core base. LMDE is a safeguard against anything happening to Ubuntu as a base distribution. The LMDE 3 beta released today has numerous features to check out, including the Cinnamon Desktop Environment. It’s worth noting that there are no point releases in Linux Mint Debian Edition, so aside from bug and security fixes, the main Debian base package remains the same, whereas Mint and desktop components are continuously updated. Newly developed featured go directly to LMDE, but are staged for inclusion on Linux Mint point releases – thus, LMDE may have features before Linux Mint, but Linux Mint may be less buggy in those features. Another thing to note about Linux Mint Debian Edition 3 beta is that the root account is now locked by default, however users can use the recovery console via GRUB menu, or log in as root, by setting a root password via sudo. 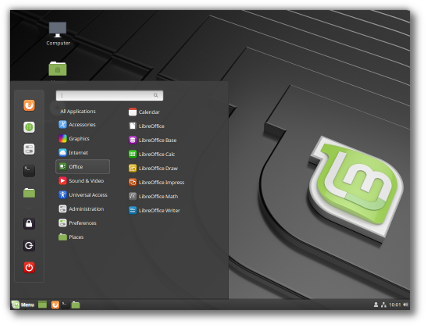 Linux Mint fans can grab this latest Linux Mint Debian Edition 3 here.